RFC Series cabinets have been developed to protect laboratory staff and the environment from toxic vapours, gases, fumes and particles. 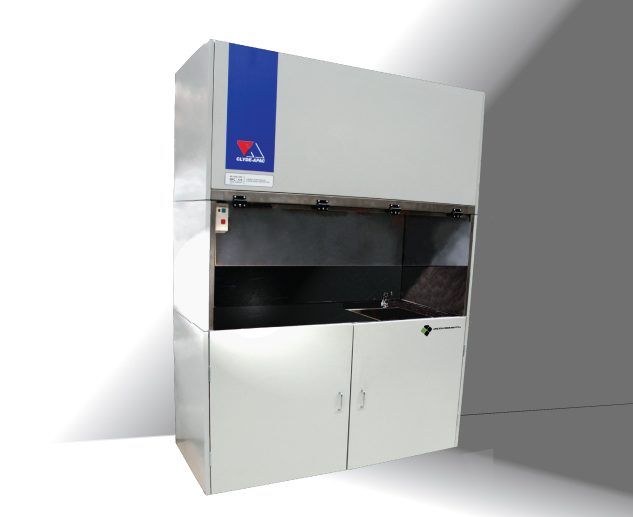 The cabinets are designed and manufactured to fully comply with Australian Standard AS2243.9: Recirculating Fume Cabinets. The RFC cabinets are suitable for benchtop use and supplied with a stainless-steel work tray. When supplied without the work tray, the cabinet may be installed over a sink or an item of equipment. RFC cabinets can be supplied with a special trolley or stand which allows a separate trolley to be wheeled into the containment enclosure. The mobility of trolley-mounted RFC cabinets is a significant advantage in hospitals or large research institutions, where materials such as glutaraldehyde are handled at multiple locations. These applications include endoscope sterilisation. The RFC cabinet has an inward air velocity that is maintained at > 0.5 m/s ±20% for both benchtop and trolley-mounted installations. In most applications, filtered exhaust air may be discharged to the room. This avoids the air supply system problems that arise with ducted cabinets. 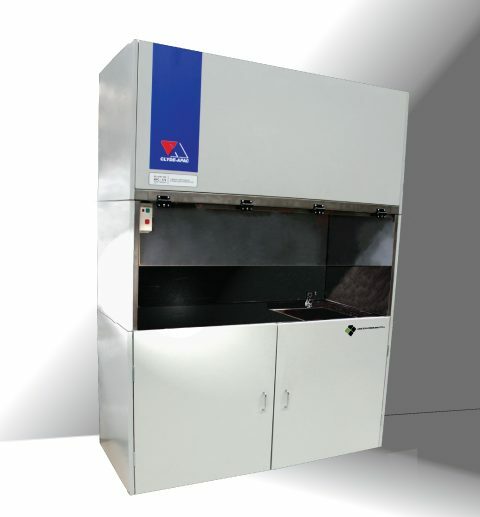 In special cases, where the nature or concentration of the contaminant indicates, the cabinet exhaust may be connected to an exhaust fan/duct system that discharges to atmosphere. RFC cabinets are produced in two (2) sizes, with 900 or 1200 mm nominal work zone width.